It’s almost becoming a cliche to say that crossovers are taking over the automotive world, but unfortunately it’s the reality we’re living in. For manufacturers, differentiating themselves from rival brands is crucial if they want to control a segment that shows no sign of slowing down in growth heading into next decade. Last year Toyota unveiled the completely redesigned RAV4 which is now in showrooms and already on the road. It’s debut was without a doubt impressive, but fast forward one year later and we’re once again presented with a crossover that sports a new look and built on an all new platform. The 2020 Ford Escape made a grand entrance just before the New York Auto Show, and already excitement is building for the American manufacturer’s best selling crossover. In 2018 Ford announced they were fully committing to SUV’s, cutting the Focus, Fiesta, Fusion, and Taurus out of the lineup. Many journalists and consumers were concerned about Ford’s future and where the automotive world was heading, but with the list of upgrades that Ford has made to the Escape, next decade is looking bright for the brand out of Dearborn, Michigan. Completely redesigned, the Escape now looks sleek, sporty, and slightly more European. It’s been lengthened, lowered, and widened which is going to be noticeable once you step inside. 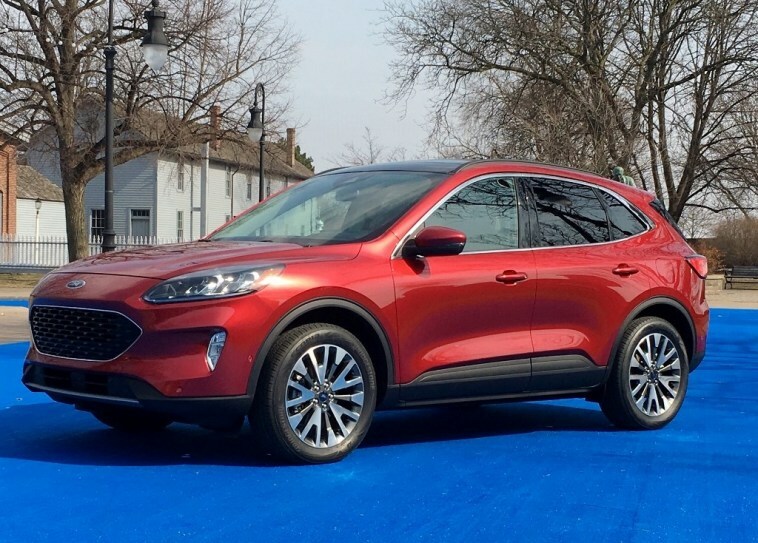 At first glance the Escape now looks like a crossbreed between a Porsche and Tesla, and from the front fascia to the C-Pillar, it certainly looks like a baby Macan. With journalists expressing the same opinions, this could bode well for the 2020 model year. Looking around back, I wouldn’t go as far to say that Ford took design elements from Toyota, but the taillights definitely remind me of the new RAV4, but at the same time they also look like they came off a Jeep Cherokee. From the photos and video that have been released, the entire body of the Escape is a teaser of what we can expect from the all new Lincoln Corsair, which will be unveiled in New York on April 17th. Overall, the overhaul for the exterior was certainly needed. The last generation Escape’s body and design were very worn out and old, with only one minor facelift that enhanced the front fascia. For 2020, the Escape loses the boxiness and slightly bland appearance, which is why styling the crossover in a way that we liken it to a Porsche or Tesla was the right decision moving forward. The bulk of the improvements for 2020 are found inside, and it’s here that emotions range from being impressed, surprised, to disappointed. Starting off with the what’s good, Ford will offer a 12.3 inch digital information display with graphics that appear to be on par with Honda. While not trying to sound like Captain Obvious, this implementation of technology the minute you get behind the wheel was certainly needed. American manufacturers have been late to the game when it comes to transitioning from analog to digital instrument panels, but from what we’ve seen, resolution quality seems to be quite good. Also new is a repositioned 8 inch touchscreen infotainment system that is reminiscent to what you’d expect from Kia. The screen is no longer integrated into the dashboard, and instead is its own piece. What’s disappointing however is that Ford is still using the Sync 3 system for the start of a new generation. 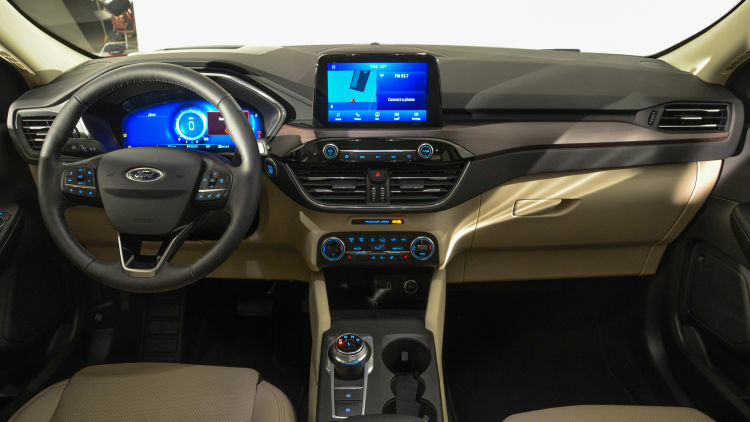 I was hoping that instead of a re-skinned infotainment system we’d get something new that would give Honda a run for its money. Yet while feeling a bit discouraged, Toyota’s infotainment system is also outdated, but with Ford committing to a new direction, I expected them to update every aspect of the interior. Not surprising for 2020 is that Ford got rid of the gear shift lever and is replacing it with a rotary dial. We’ve already seen this transition in the Ford Edge, and by implementing a rotary dial they were able to add a wireless phone charger. So far I haven’t seen or heard anything about that being offered on the Escape, and instead it only appears that this decision was made to increase cargo space for storage compartments up front. A strong selling point for consumers is the rear seats that now offer six inches of adjustability. 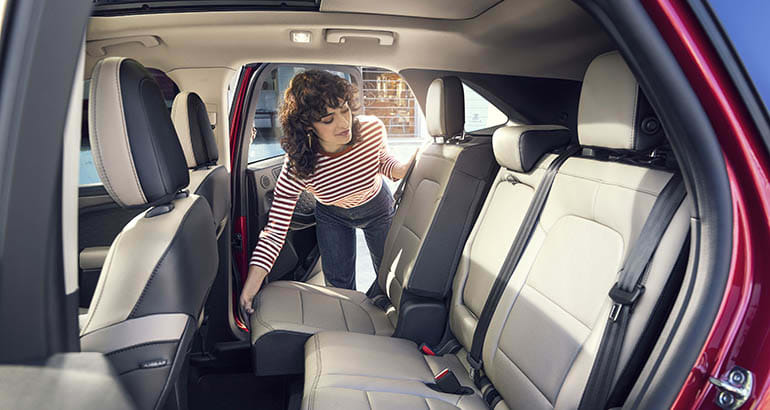 Ford claims that when the seats are pushed back, the Escape offers more legroom than a Chevy Suburban which is really impressive. This adds practicality and versatility, especially for families or individuals constantly on the go because if there’s no occupants in the back, that extra six inches of room can be used to maximize cargo room. This feature alone could draw in buyers, and for the tall people in your life, you won’t have to hear them complain about being cramped in the back during a long road trip. 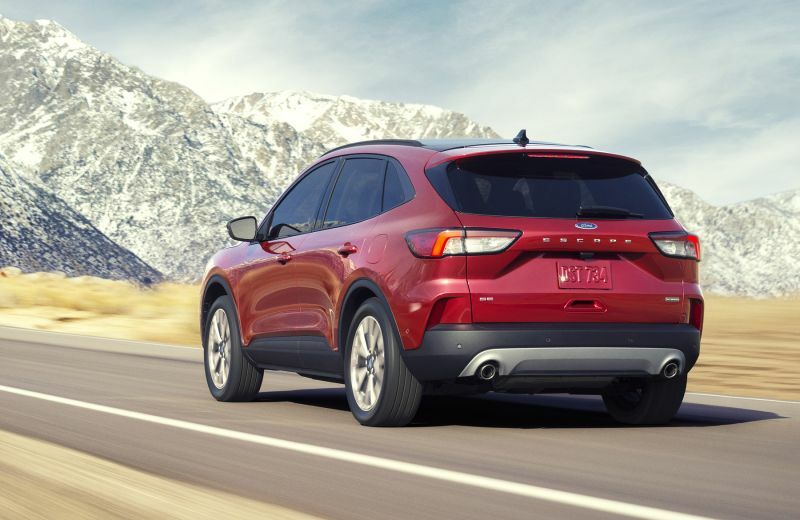 Starting off with the old, the 2020 Escape will offer the 2.0L turbocharged 4 cylinder engine that puts out 250 hp and 275 lb ft of torque, which is a slight increase in power from last generation. All new is a 1.5L Ecoboost 3 cylinder engine, which is definitely surprising. Normally we’ll see smaller four cylinder options here in the United States, while other global markets receive the 3 cylinder engine. For performance you can expect 180 hp and 177 lb ft of torque. Both engine options just listed will be paired with an 8 speed automatic transmission. When it comes to the all new hybrid engines available, both will be 2.5L 4 cylinders, with one being fully hybrid and the other being a plug in. Ford claims that the full hybrid version will have a fuel range of over 550 miles which is very impressive. Hopefully we can find out if that fuel range is accurate, as it does seem a bit high and ambitious. For the plug in variant, you’ll get 209 hp and an electric charge of about 30 miles. Is The 2020 Escape A Game Changer? At the end of the day, the all new Escape will put Ford back into contention against Toyota, Honda, and Nissan who all outsold the Escape in its segment. The updates that were made to the exterior bring a sporty, youthful, and fun vibe to a crossover that became quite bland near the end of its cycle. To have a Tesla and Porsche appearance makes this vehicle relevant to most consumers, and at least on paper, makes the Escape an affordable option for a buyer whose budget can’t get them a Porsche Macan. However, it’s the interior updates that I think will be the prime selling points for most buyers in the United States. The updated digital instrument panel, a more upscale interior, and the six inches of adjustability for the rear seats will resonate best with Ford loyalists and also new consumers as well. The complete overhaul was executed perfectly by Ford, and the changes they made now put the American manufacturer in a good spot heading into a decade. With Ford continuing to tweak their lineup, there’s a lot of excitement and anticipation for what’s coming on the horizon. The Bronco’s return is right around the corner, a four door Mustang is in the works, and even an off-road variant of the Escape can’t be ruled out. If Ford does this right, they’ll put Honda and Toyota on notice for the beginning portion of the 2020’s. 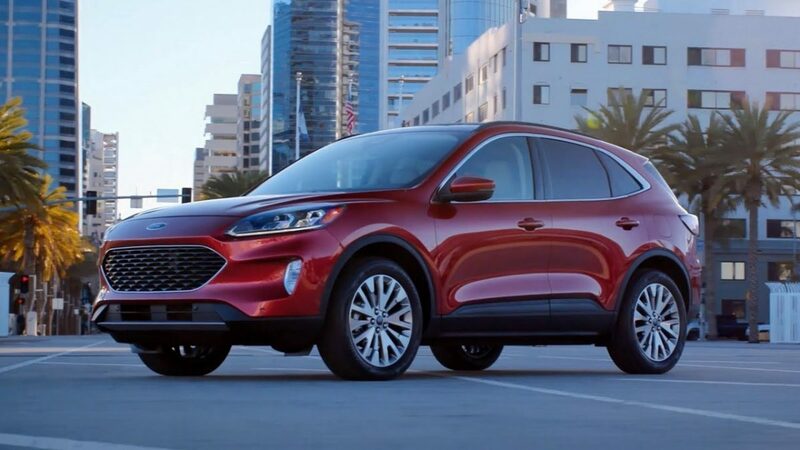 Author Mike CerraPosted on April 9, 2019 April 9, 2019 Categories Automotive WorldTags 2020 Ford Escape, Automotive, Automotive World, Autos, Boston, Chevrolet, Chevy, Chevy Equinox, Dodge, Ford Escape, Honda, Honda CRV, Toyota, Toyota RAV4Leave a comment on The 2020 Ford Escape – A Game Changer In The Crossover Segment?